Joy Petta Riley was born on March 26, 1928 in Fort Worth, Texas and passed March 23, 2019. The youngest of 5 children, Joy was born to Sicilian parents Phyllis and Joe Petta. She attended Our Lady of Victory Catholic School and Paschal High School. At age 14, Joy established her first dance school in Fort Worth. A long-time dancer and dance instructor, Joy choreographed the first color broadcast at WBAP-TV Fort Worth in 1954 with a young Pat Boone. In 1955, Joy married Dale Riley. They opened Riley’s Dance Workshop in Irving, Texas, in 1957. Over the years, they trained thousands of dancers – many of whom went on to make successful careers in show business. They also choreographed the Miss Texas Pageant for many years. In 1979, Joy and Dale founded the Irving Ballet Company and produced multiple dance productions including Jerome Robbins’ Fancy Free, Prokofiev’s Peter and the Wolf, and brought Tchaikovsky’s Nutcracker Suite to Irving audiences for years. They were instrumental in the development of the Irving Arts Center. Joy and Dale choreographed and performed with theatre companies throughout the Dallas/Fort Worth metroplex. After retiring from dance, Joy began a new career as a real estate agent. 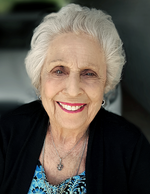 She applied her tenacity and love for helping people to the art of selling homes and was in the multi-million-dollar sales club for years with Henry S. Miller, Virginia Cook and finally Ebby Halliday. Joy lived up to her name in all ways – knew how to make people smile, laugh, be at ease, feel cared for and loved. She always had a story about her children or grandchildren, or her life growing up. Joy is loved by so many and will be sorely missed by all who had the great fortune to know her. The family will receive friends from 7:00 to 9:00 pm on Wednesday, March 27, 2019 at Brown’s Memorial Funeral Home. Mass of Christian Burial will be held at 10:00 am on Thursday, March 28, 2019 at Holy Family of Nazareth Catholic Church in Irving at 2323 Cheyenne Street. Internment will follow the service at Oak Grove Memorial Gardens in Irving. Memorial donations may be made to The Laughter League at 2801 Wingren Road, Irving, TX 75062 or at www.laughterleague.org. To send flowers to the family of Joy P. Riley (Petta), please visit our Heartfelt Sympathies Store.